TUESDAY 29 MAY – FROM 1PM. In a world first, the opening season of All Out of Love the Musical will open at the majestic Newport Performing Arts Centre Theatre at Resorts World Manila in October 2018. The story unfolds in a single night in the fast moving and unforgiving city of New York, where two lost lovers are finally granted one last chance at love, and with a little luck, the chance to be reunited forever. But love is never easy and unseen forces play their dark hand to keep the lovers apart. Forever. Interpreted through the timeless music of Air Supply, All Out of Love the Musical is a fast-paced classic love story for modern times. 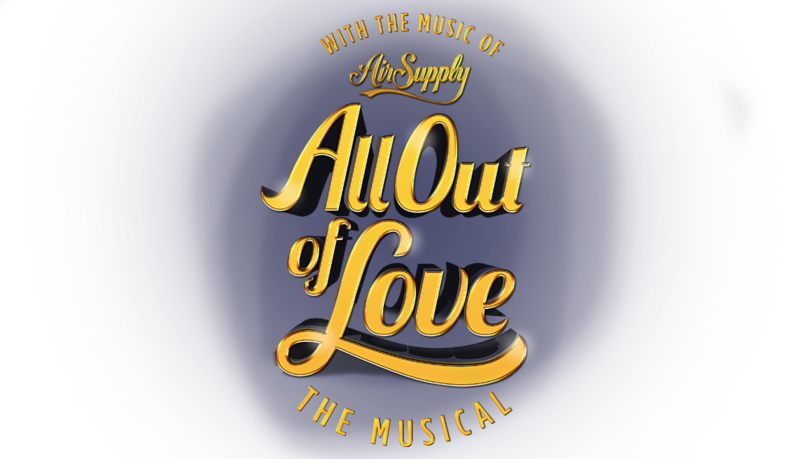 All Out of Love the Musical was developed by an Australian creative team with full support of the band Air Supply. The inaugural season will feature a full Filippino cast, with all sets and costumes being constructed in-country, promise a memorable theatre event. Produced by Musical Management Asia Pacific, the Australian producers are working with local partners Ultimate Show Inc and Resorts World Manila to deliver a four-week season. All Out of Lovethe Musical brings together two lost lovers for one last time, and one last chance at being together… Will love be enough to overcome the forces that conspire to keep them apart forever?